Follow @mcphoo Tweet This Return of the Kettlebell Update reflects on the take aways from the last medium and heavy days in particular of the second week of the third long cycle block. I love medium days; i am striving to warm to heavy days, too, and may have found a way with the Perfect Rep once more coming to the rescue. Medium Day Swet. It's getting colder outside and darker so much sooner. The heat needs to be thrown up for a bit an night to warm us up. Sometimes that exrta heat when doing the Long Cylce gets to feeling like a bit of a bikram studio - can't ask everyone else to freeze for my workoust - but the other night huffing and puffing into the zen of the swing and the dip and the open hand push press, towards the fourth ladder, i felt like i was seeing scenes from Apocalypse Now, with the Doors screaming and fire and sweat and the president of from the West Wing surfacing like a crocodile from the swamps to go after Marlon Brando. Surreal. Take aways from this session: i like medium days. They are my "just right" days. I get full 5*5 ladders in, feel taxed and like i'm practicing what i'm learning. They are less psychologically demanding than heavy days, and the main event takes somewhat less time, giving me extra cycles at the end to do some abs work. Adding in Abs. Ab specific work may seem rather anathema to the hardstyle community but i've been talking with some power lifters and oly lifters about their programs and they find the extra core strength (yes i said core) let's them pull better. This may be so, so i'm giving it a go. I do not have a pavelizer so i take one of mike mahler's fabulous tips to tip two kb's over on their sides and jam my feed against the kb's - 16's hit at just the right spot for me behind me ankles - and i janda from there with the breathing pattern of Bullet Proof Abs. 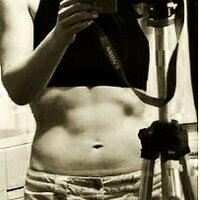 Add in some more Bullet Proof abs, like russian twists with the kb and who knows? that might be getting somewhere. Arms Emphasis. I'll share something else i've been trying after light and medium days with my arms quest, baesd on colleague and expert trainer Roland Fisher's suggestion to complement RTK: drop sets of biceps curls with overspeed eccentrics. These are relatively new, so too early to tell if they're haveing an hypertrophy effect but they are having a strength effect: i can do more sets before having to drop the load. If the speed drops, drop load. Using this metric, volume is going up. Size? Likewise on the superficial girth measurement issue - 3 months into RTK more or less, it seems the size of my arms has evened out. There was about a quarter inch difference before between the left and right; now, they measure up pretty much even. That's kinda cool. Does anyone else think their non-dominant arm actually looks stronger or more defined than their stronger arm? I think my left arm is also catching up with my right arm in strength from sticking with the stronger arm in all this doubles work. Both sides get the same amount of work now. Anytime i press the 20 on the right, i'm push pressing it on the left, and repping partials with the left. It's going to get there with the 20 too, just like last year getting the 16 on the left as well. Now that would be something to RTK long cycle with 20's. Hmmm. Time and Breathing: ssshhhh on the hissss. Other places where i'm noticing improvements: speed to get through medium day ladders is going up. Time is going down - a bit. In particular i'm not huffing and puffing as loudly. I've been trying to be more aware of my breathing volume - both kinds. Trying to get quieter and more efficient. I've been wondering if i haven't actually been wasting energy in overdoing my pressurizing breathing, and have been fascinated with what's happening when i try ONLY to quieten it down, not change anything else. That's the only deliberate adjustment i've considered and it does seem to be connecting with better movement efficiency - or it feels that way. Hands Open. Continuing the hand position experiment, i gave the open/knife hand of Vasily Ginko pointed to by RKC TL Randy Hauer a go. Very nice. With the horns of the bells resting more firmly on the outside heel of the palm, there is a different muscle triggering happening as Pavel outlines in ETK. I can do the knife hand open for the 12's. With the 16's (heavy days) i'm more comfortable with the index finger looping lightly over the horn. Heavy Day Clarity. And speaking of heavy day. Where i'm noticing improvement there: staying more solid in the clean. The bells feel like they are more under control coming into the rack. I'm not doing any more reps per 5 ladders yet, but the quality of the reps seems to be going up. And you know what? i'm ok with that? i'm ok with getting really good reps on heavy day and keeping fresh and getting faster before adding in more rungs. Psychologically, setting myself the number of rungs i'm going to do at the start, and sticking with that, has meant the difference between a certain dread associated with heavy day (oh no, not the fourth rung), and a feeling of focused energy. And why not? I'm not really doing this to beat myself up, but to build myself up. Maybe that means i'm a bit of a psychological wimp. I think i can live with that right now, if that's the case. I *liked* the feeling this week of meeting my goals and just focusing on technique with a heavy bell and avoiding crappy reps, rather than feeling bad cuz i didn't grind out more than the last week's heavy day. Same number, better speed, shorter recoery, better reps. I have all the time in the world to get better at this - and add more rungs. Less Chalk. One more way i've seen a kind of progress is that i seem to be going for the chalk bag less on even heavy days in the long cycle. Initially my hands were sweating so much the bells seemed constantly to be ready to fly from my fingers. And heh, going for the chalk bag is a few seconds more recovery between rungs. I still use chalk, especially on heavy days, but it just doesn't seem to be as much. Is that a sign of better fitness with these moves? Better conditioning? Back in Action. Also in the news: my spine seems to be getting used to this double kettlebell work too. Before my back off week a few weeks ago, i felt i was aware of my lower thoracics in particular all the time (all the time between workouts) - in a way i hadn't ever been before. It wasn't pain i hasten to add, but it was definitely and unfamiliar sensation. Checking in with Zacharaih Salazar the the t-phase z-health cert, he assured me that this was part of the process and showed me some cool moves to open that up a bit. What i found is that just giving my back that week's break was fabulous. Sensation be gone. Now two weeks back into it, just having finished up this long cycle block, i'm not getting that sensation/muscle awareness anymore. There's but a wee ghost of it. Neuro-muscular adaptation complete for this phase? Perhaps. It will be interesting to see how the pressing block goes, but still that's progress. So this past long cycle suite has seen the first RTK block where i feel like i'm actually practicing the long cycle, at least a bit more, rather than learning the how to of the long cycle, RTK style. This sense doesn't mean there isn't room for tons of technique refinement and that the RKC II cert won't totally rip apart my form and rebuild it. But i guess the biggest plus is the sense a wee bit more of rhythm on each of the days: rhythm with the VPP, definitely with my middle days, and even with the heavy days. When i write these posts i keep thinking about all the amazing things i'm finding in RTK and when i reflect(ed origitinally) on my experience with ETK (enter the kettlebell) i'm thinking "i wasn't having all these insights as i worked through ETK" - Maybe if you've just started with KB's and are doing ETK or have just done ETK you haven't either. This lack of powerful insight is likely nothing to do with single vs double kb work per se (ie single kb just doesn't have as much to teach), but that, speaking for myself, i was just beginning to get to know KB's when i did ETK. I had neither the vocabulary nor the experience to consider these refinements. Last year's perfect rep quest series, working through a variant of Kenneth Jay's Beast pressing protocol was a beginning at exploring the single kb press work in the towards the perfect rep quest series. This is a long way of saying that i'm seeing a return to ETK on the horizon - way down the horizon relative to where i'd like to get with RTK right now, but i'm curious to see if it will yield up some new insights coming at it this much further into KB practice. I'm particularly intrigued to be able to give Adam T. Glasses Press the Next KB size in a Month protocol a go. Maybe that one first, as the 24 still eludes me. Took me a long time to decide what, if any, ab training I would supplement my training with. With swings, deadlifts, snatches, and all other posterior chain work, the idea is to keep the spine stable (not flexing so much), so that the strong lordotic lumber curve transfers power from the hips through the trunk to the upper body. So essentially, even though the upper body is moving all over the place, the spinal erectors are really maintaining an isometric contraction, instead of extending the spine against load. This is, in my opinion, where abdominal strength really matters too. 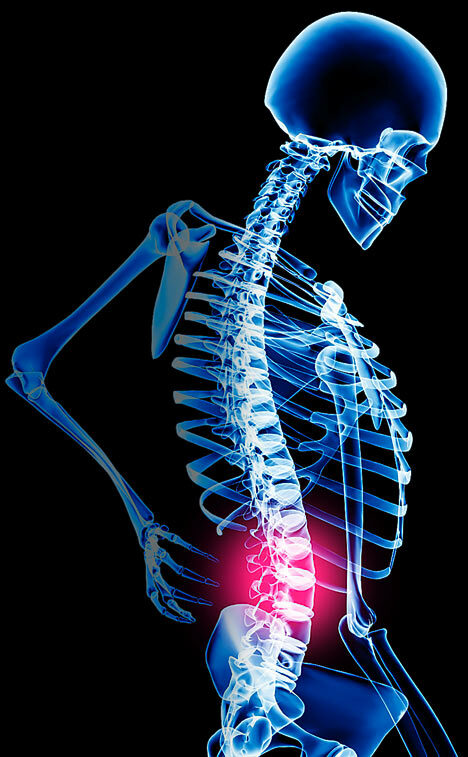 Not necessarily to flex the spine, but rather to keep it "straight" (natural curves) against a load. I think various planks do an excellent job of taxing the abs/obliques in the same way the spinal erectors are taxed during posterior chain work. Have you had any experience with planks, or do you have any thoughts on them? Bryce, i don't find a whole lot of transferability in planks. They're good assessments, but if i'm going to do something i prefer to engage with movement. So for the position you're describing i prefer renegade rows for a variety of reasons - detailed here. More bang for the buck and not static. Renegade rows are one of those movements, like Romanian Deadlifts or Turkish Getups, where after having not done them for a while, I do them and think "Why on earth did I ever stop doing these?" I think I'll work them back into my program when I train at home. I think they work the abs much in the same way planks do (resisting spinal extension instead of flexing the spine), but I can see how they'd be more transferable/useful. If only there was time for all those movements! I think I'll make time for some renegades though. Thanks for reminding me about them. Good article, will subscribe to posts.